We operate all through our lives based on a maelstrom of emotions, feelings, instincts and responses that we don’t always understand or even recognise. At The Inner Startup, we help individuals explore their worlds inside-out by experiencing their inner motivations and offering practical techniques to integrate these into a more harmonious way of living. We tell stories that need to be told, through plays using methods from Theatre of the Oppressed aimed at empowering people by collaborative problem solving. The process is democratic (stories from the group), collaborative (with audience) and transformative (changing perspectives). 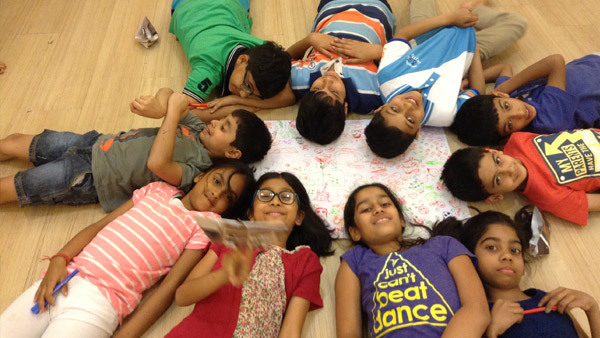 This Emotional Intelligence workshop enables children to be conscious of their own rhythms, perceptions and abilities so that they may become self aware and self directed. The program uses theatre, movement, music, mindfulness and nature through games and various exercises to teach children essential life skills such as confidence, communication and self motivation.